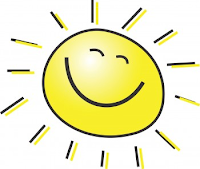 Werner's Cairns blog: Shedding some light, on Sunlight - the source of vitamin D.
Shedding some light, on Sunlight - the source of vitamin D.
Queensland is often referred to as the Sunshine State. "Beautiful one day, perfect the next". We are all aware of the benefits of the sun, but also of the risks we face. The sun's ultraviolet (UV) radiation is both the major cause of skin cancer and the best source of vitamin D. In Australia, we need to balance the risk of skin cancer from too much sun exposure with maintaining adequate vitamin D levels. Sensible sun protection does not put people at risk of vitamin D deficiency. Read also: Being vitamin D deficient is a bigger risk for type 2 diabetes than obesity. So why do we need vitamin D? 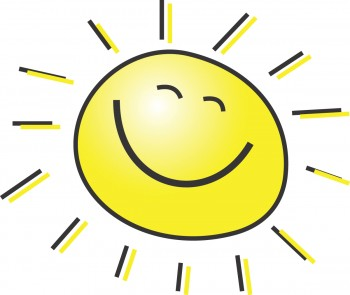 “15 facts that are important to know about vitamin D and sunlight exposure”. 2. The healing rays of natural sunlight (that generate vitamin D in your skin) cannot penetrate glass. So you don't generate vitamin D when sitting in your car or at home. 4. A person would have to drink ten tall glasses of vitamin D fortified milk each day just to get minimal levels of vitamin D into their diet. 5. The further you live from the equator, the longer the exposure you need from the sun in order to generate vitamin D. Canada, the U.K. and most U.S. states are far from the equator. 6. People with dark skin pigmentation may need 20 - 30 times as much exposure to sunlight as fair-skinned people, to generate the same amount of vitamin D. That's why prostate cancer is epidemic among black men - it's a simple, but widespread, sunlight deficiency. 9. Even weak sunscreens (SPF=8) block your body's ability to generate vitamin D by 95%. This is how sunscreen products actually cause disease - by creating a critical vitamin deficiency in the body. Osteoporosis is commonly caused by a lack of vitamin D, which greatly impairs calcium absorption. Sufficient vitamin D prevents prostate cancer, breast cancer, ovarian cancer, depression, colon cancer and schizophrenia. "Rickets" is the name of a bone-wasting disease caused by vitamin D deficiency. Vitamin D deficiency may exacerbate type 2 diabetes and impair insulin production in the pancreas.Obesity impairs vitamin D utilization in the body, meaning obese people need twice as much vitamin D.
Vitamin D is used around the world to treat Psoriasis. Vitamin D deficiency can cause schizophrenia. Seasonal affective Disorder (A form of depression caused by the lack of natural light during the winter months) is caused by a melatonin imbalance initiated by lack of exposure to sunlight. Chronic vitamin D deficiency is often misdiagnosed as fibromyalgia because its symptoms are so similar: muscle weakness, aches and pains. Your risk of developing serious diseases like diabetes and cancer is reduced 50% - 80% through simple, sensible exposure to natural sunlight 2-3 times each week. Infants who receive vitamin D supplementation (2000 units daily) have an 80% reduced risk of developing type 1 diabetes over the next twenty years. 48% of young girls (9-11 years old) are vitamin D deficient. Up to 60% of all hospital patients are vitamin D deficient. This is another excellent posting, Werner. You certainly know how to „shed light“on things. This is certainly another very interesting read and should be read by everybody, especially young people who are keen to totally “bare” themselves to the sun. I have been talking about this for about 15 years. Slip slop slap masks the uptake of Vit.D. I always say it is better we educate people as to when it is safe to be out in the sun. Before 10 a.m. and after 4 p.m. Thank you, Werner, for this interesting posting. There was so much I didn’t know about vitamin D, and sunlight. I see it all in a different “light” now – no pun intended. This is a very „enlightening“posting Werner! Free vitamin D from the sun. I’m wondering why they named it Vit D instead Vit S. There were many aspects therein I was not aware of. So thank you for sharing this.